Save up to 70% on designer styles! 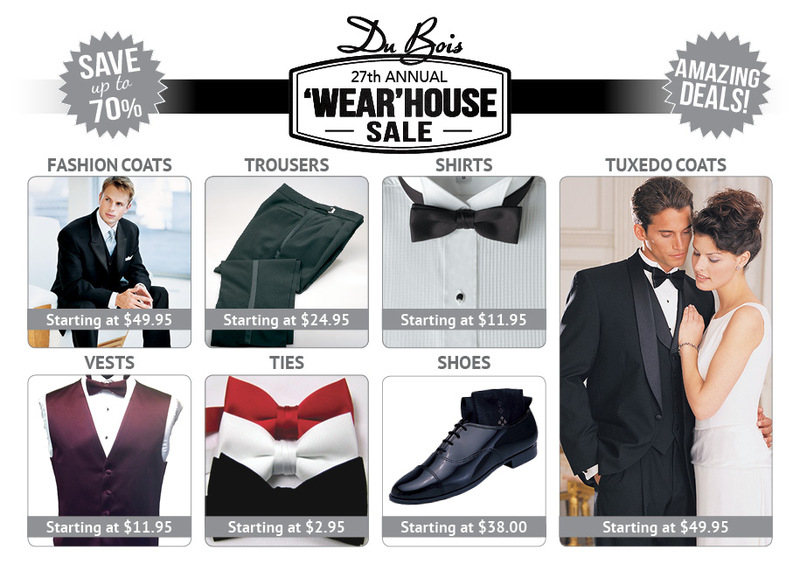 DuBois Formalwear has an annual Wearhouse Sale every fall where we discount our quality used formalwear. If you are a formalwear fan, find yourself regularly attending black tie events, or just need a great Halloween costume, owning your own formal wear can save you tons of money! 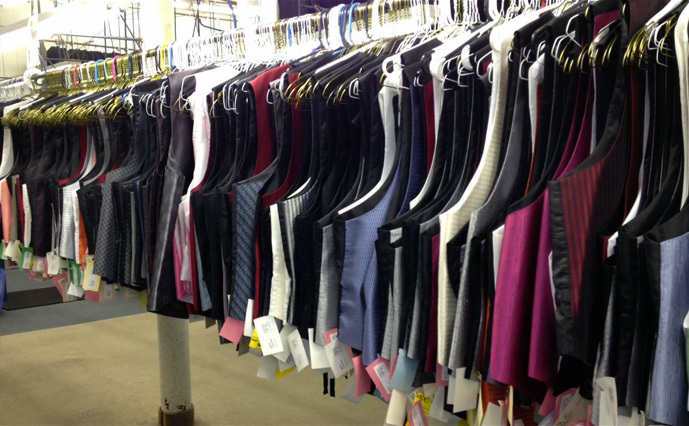 The discounted formalwear that is available at our annual sale includes tuxedo coats (tail coats & regular coats), vests, long ties, bow ties, pants, formal shirts, formal shoes, and more! 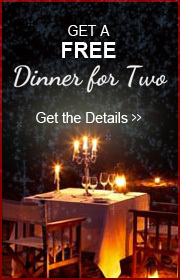 For banquet hall servers, limo drivers, DJs, magicians, event security, and many other professions that require formal attire, this event is a great way to save on your work clothing! Sign up to receive news about our 'Wear'house Sale and other special offers!